"What will our energy system look like in 50 years, 20 years or even 5 years from now?" Katestone, a leading provider of expert air quality and meteorology services, kindly invited Andrew Chamberlain from Citysmart and myself to speak at an industry breakfast about the future of energy systems and energy efficiency. The event was called 'Cooling off CBD Peak Demand' and was centred around the proposal for a Central Cooling / District Cooling system in the Brisbane CBD. 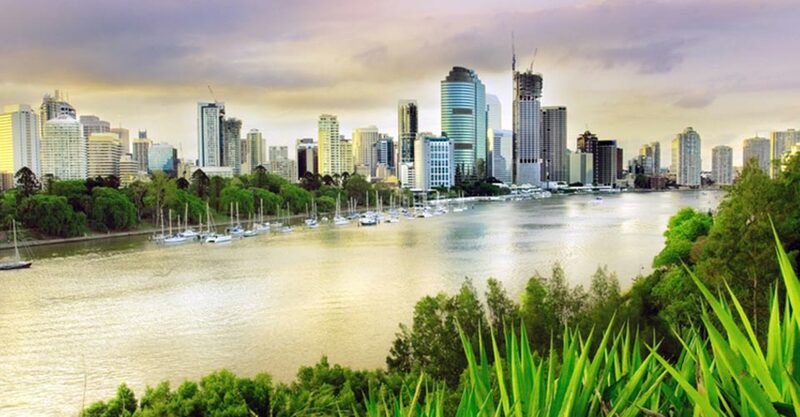 This technology has been around for some time and is used throughout Europe and North America, however it is a new concept within Australia, with Brisbane perhaps leading the way. We discussed how savings are made by combined innovation in mechanical services, engineering practices, weather data and Building & Energy Management Systems. Katestone has been a leading provider of expert air quality and meteorology services in Australia since 1989. Located in Brisbane, our team of approximately 15 professionals has developed an enviable reputation for high quality advice to clients in the mining, energy, heavy industry, government and agricultural sectors. Our long list of loyal clients is a testament to the principled way in which we conduct our business and the respect we have gained in the industry. At Katestone, we strive for excellence in everything we do. Our first priority is to identify exactly what your project requires to succeed. We then work with you to deliver the best solution to enable successful completion of the project. Clear and open communication underpins this process, as does a rigorous approach to problem solving. I would like to thank Katestone and all the attendees for the opportunity to be involved. It was great to see such enthusiasm throughout the presentations, and to also have the opportunity to showcase what we achieve here at Innotech as a successful local Australian manufacturer on the global stage.